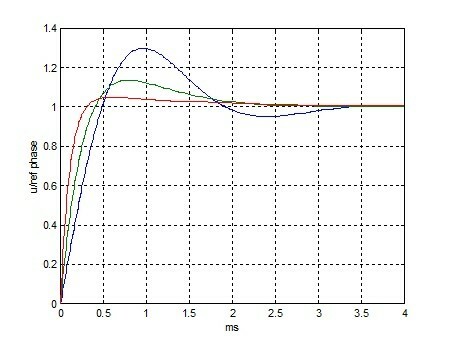 In Part 1, we found the time response of a 2nd order PLL with a proportional + integral (lead-lag) loop filter. Now let’s look at this PLL in the Z-domain [1, 2]. We will find that the response is characterized by a loop natural frequency ωn and damping coefficient ζ.
Compute the values of loop filter proportional gain KL and integrator gain KI that give the desired loop natural frequency and damping. Deriving these formulae is somewhat involved, but the good news is we only have to do it once. Compute the linear-system time response to a step in the reference phase. Figure 1 is the time-domain DPLL model we derived in part 1. To convert this to a useful Z-domain model, we replace the accumulators in the Loop Filter and NCO with the transfer function z-1/(1 – z-1), who’s numerator and denominator we can multiply by z to get 1/(z – 1). This gives us the model in Figure 2, where we have also indicated the phase detector gain Kp. A 2nd order continuous-time system with a Lead-lag filter is shown in Figure 3. [3, 4]. See Appendix B for a derivation of the closed-loop response. If we convert this to the Z-domain, we’ll see the response has the same form as that of our DPLL. This will allow us to relate KL and KI of the DPLL to ωn and ζ. This approximation is valid as long as the loop natural frequency is much less than the sample frequency (see Appendix C). The Z-domain block diagram is shown in Figure 4, where we have allowed for the possibility that the loop filter could have a sample rate Ts_filt different from the NCO sample rate Ts_nco. By equating open-loop response G1 of our DPLL to G2, we can find KL and KI in terms of ωn and ζ. A given DPLL design has defined values for Ts_filt,Ts_nco, Kp, and Knco. Given those values, KL and KI are uniquely determined by the choice of ωn and ζ. Note that the units of Kp are cycle-1. See Appendix D for an alternate form of the equations for KL and KI. 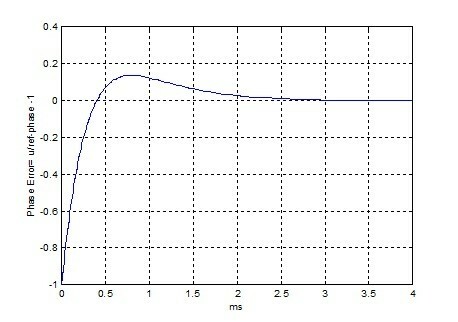 Equation 5 is in the form of an IIR filter transfer function, which allows for straightforward computation of the time and frequency responses in Matlab. This example uses the same parameters as Example 2 in Part 1. We will compute KL and KI, then we will find the time and frequency response using CL(z). For this example, fs_nco = fs_filt = fs. The Matlab script is listed in Appendix A. The DPLL parameters are as follows. As you can see, not all of the parameters from the time domain model apply to the Z-domain model. 2. Compute the time response to a step in the reference phase. Since CL(z) is in the form of a digital filter transfer function, we can find the time response using the Matlab "filter" function. The phase error response is shown in Figure 5. Because this model is linear, the non-linear acquisition behavior we saw in the time-domain model of Part 1 (Figure 3.4) is missing. 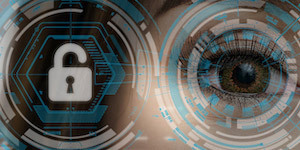 Thus we see that the Z-domain model is less capable than the time-domain model for computing the time response. Finally, one detail worth mentioning: the response has some overshoot. This is caused by the zero in CL(z). (An all-pole system would not have overshoot for ζ = 1). 3. 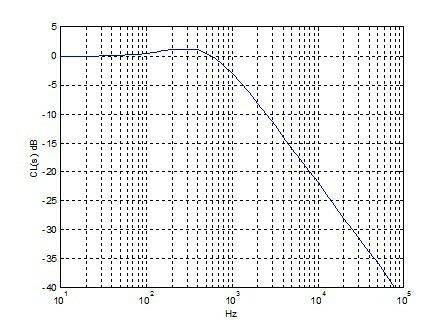 Compute the frequency response CL(z). The closed-loop frequency response is shown in Figure 6. Comparing this response to that of the equivalent continuous-time system in Figure B.2, we see that they match. Note the peak in the response occurs near the loop natural frequency of 400 Hz. The slope of the response in the stopband is -20 dB/decade. Figure 5. Phase Error for unit-step change in reference phase. fn = 400 Hz, ζ = 1.0. Figure 6. Closed-Loop Frequency Response. fn = 400 Hz, ζ = 1.0. 4. 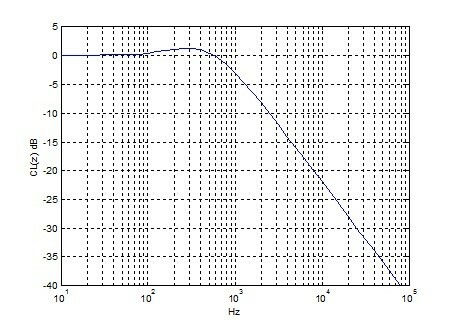 Plot the step response and the frequency response for different values of damping. 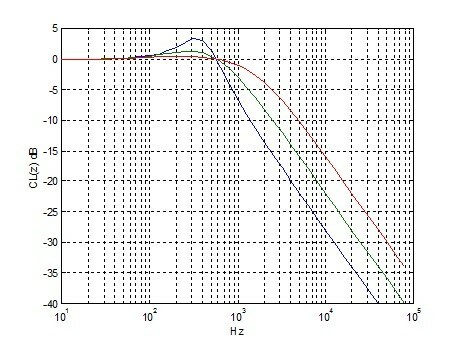 Figure 7 shows the step response and Figure 8 shows the frequency response. Figure B.2. Closed-Loop Frequency Response. fn = 400 Hz, ζ = 1.0. This is a way to approximate H(s) when a system’s passband frequency range is much less than the sample frequency. We choose this method because it results in a block diagram and transfer function that have the same form as that of our DPLL in Figure 2. Here we are assuming 2πfTs << 1, or f/fs << 1/2π. For our examples, we have been using fn = 5 kHz or less and fs = 25 MHz. So fn/fs = .0002 << 1/2π. To convert H(s) to H(z) we replace each occurrence of the variable s by (z – 1)/Ts. Here, the units of Kp are cycle-1, which is consistent with Kv in Hz. Alternative units for Kp and Kv are radian-1 and rad/s, respectively.